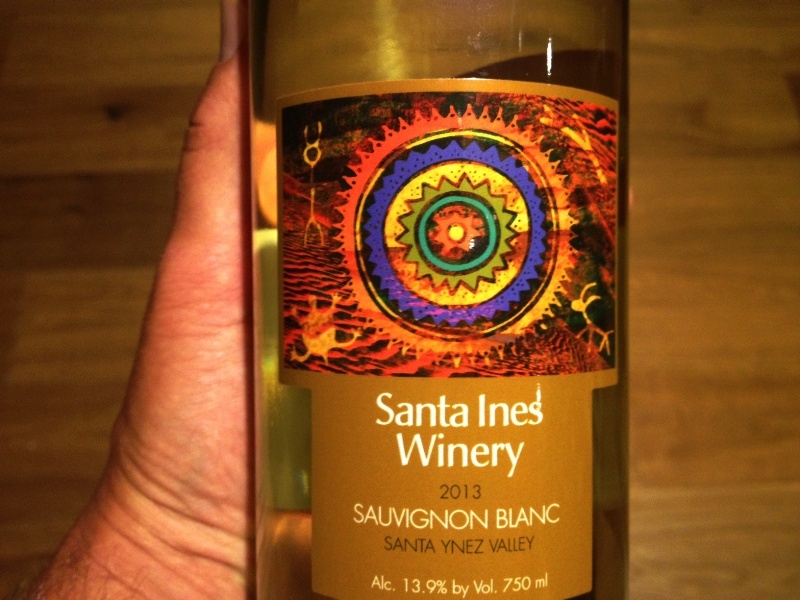 Santa Barbara County vintage making use of Chumash pictograph motifs. When one takes an interest in actively seeking out and visiting Chumash rock art paintings they soon learn that there is an emotional and contentious political subculture swirling around these archaeological sites. Certain etiquette dictates, or at least some people would like to think that it should govern, how the sites are expected to be talked about or shared. The rise of social media outlets have further complicated and exacerbated this matter. When a person infringes upon or violates these unwritten rules they can expect to receive criticism ranging from respectful, tempered and reasonable disagreement, to comments reflecting all reason having been drown in simmering emotion, to unhinged and vicious hostility. The following quotations are real comments I have received in response to having posted a limited number of photographs of Chumash rock art sites over the course of several years. The comments are followed by my response. It is an emotional issue, for some. This outburst was delivered in response to a post showing a handful of bedrock mortars. Nobody really knows, unequivocally, what rock art was meant for because the people that created it no longer exist and they left no written record detailing their motivations. All that is said to be known is rooted upon a questionable foundation of differing degrees of conjecture based on empirical information obtained by scholars while visiting the sites in question, and educated presumption based on the testimony of a scant few secondary sources, as derived from the ethnography of a single white man. A screenshot of an advertisement that popped up on my computer. What is known about Chumash rock art represents a slim sliver of the entire body of facts surrounding the work, the vast overwhelming majority of this information having been forever lost when the people who created the art and their immediate descendants died or were killed or murdered. What rock art is meant or not meant for will never be decisively known. Such a statement as quoted above is, therefore, an opinion more than anything else. It is a normative statement, and whether it holds any more validity than the beliefs of anybody else is a matter of opinion itself. When I attended the Santa Barbara Harbor Festival last October there was a “Chumash Education Booth” which was selling t-shirts adorned with rock art motifs. They obviously had no concerns about exploiting the matter for profit for the purpose of “consumerism and materialism.” I did not see anybody from any band of Chumash protesting. More importantly, the quoted opinion above runs contrary to the manner in which the most visible and socially active contemporary Chumash people in Santa Barbara County currently make use of rock art. Far from shunning “consumerism and materialism,” these people have embraced it with vigor to reap hundreds of millions of dollars in annual material gains selling gambling and liquor, among other things. Visit the Chumash Casino on the Santa Ynez Reservation and one will see that the Santa Ynez Band of Chumash readily make use of rock art motifs as a means of marketing their gambling house. One can see depictions of rock art on token coins, poker chips, roulette wheels, casino carpeting and the casino logo itself. 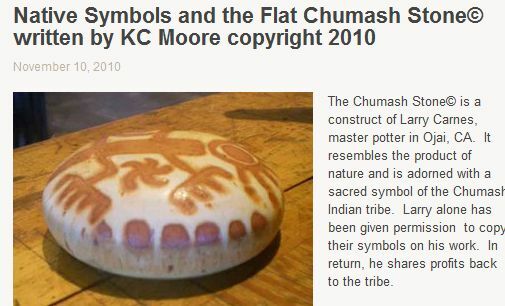 A screenshot of Larry Carnes’ “Chumash Stone,” a phrase, as denoted above, that has purportedly been copyrighted. 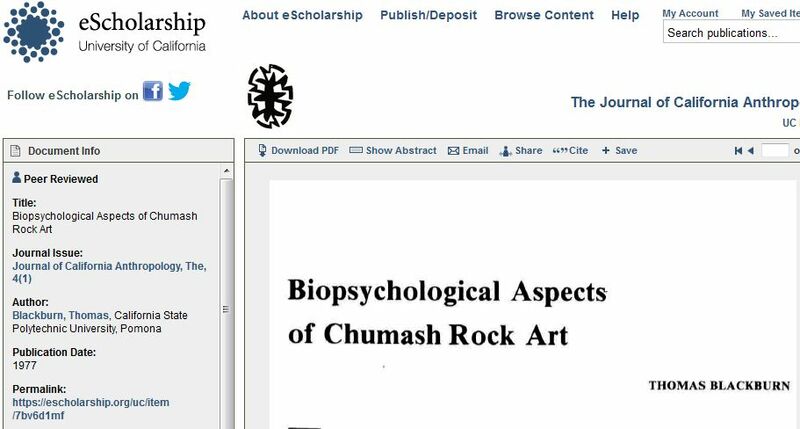 The opinion that “rock art isn’t meant for consumerism and materialism” is utterly out of line with the practices of the Chumash themselves, which seek to profit from these images in various ways some of which are dubious and morally suspect. I have been told than many Chumash believe rock art sites are sacred. I don’t know that I needed to be informed of that, it does not come as a revelation to me. But again, the actions of their leaders, and by extension the common folk themselves, reflects a very different feeling. And as the cliche goes, actions speak louder than words. Is something sacred to be sold for profit? To be used as a marketing tactic to sell gambling to the tune of billion dollar profits? One may object to note that the Chumash should be free to use the rock art left by their ancestors in any manner they wish, which is certainly a reasonable point. However, the assertion here is not who gets to use it for what purpose, but that it is not meant for certain uses by anybody. The person that wrote that quote does not have a drop of Chumash blood in his veins. The corollary being exclusivity, that only some people have this right. It appears this person does not know what a right is, but is instead speaking of privilege. This I am accused of for merely posting photographs of rock art. It is a statement that reeks of elitism and reveals a mentality of exclusive entitlement, that only a select chosen few should be allowed to lay eyes upon a photograph of rock art. If a person is not among the coterie, or is not known and approved of by the ruling class elite, but rather a member of the untitled public lacking credentials, a mere commoner, they should be prevented from even so much as seeing a photograph of the rock art found within the National Forest, which is essentially owned by We the People. It is a sentiment that I would posit runs contrary to the very founding principle of the National Forest system of conservation, as founded by President Roosevelt and Gifford Pinchot during the Progressive Era of American history. At that time a few powerful men of vast financial means and influence sought to use the American forests for their own purposes, while dismissing the right of the people to have any claim to them. Roosevelt and Pinchot waged a political war against powerful congressmen, senators and their allies in business to secure for posterity national forests and the resources therein for the many people, over the select few special interests. Pinchot and his colleagues and peers often did this at their own personal expense without recompense from the government. This fact being a reflection of their earnest, selfless commitment to preserving the forest for all people. Furthermore, it is a sentiment that runs contrary to the actions of the United States Forest Service, which has installed numerous register boxes at rock art sites throughout the Los Padres National Forest, wherein visitors can sign their names, leave their address and comment on their experiences when viewing the rock art in person. In addition, the USFS created campgrounds at some of these rock art sites, which have been listed on publicly available maps created by the United States Geological Survey, both federal agencies, by definition, being of, by and for all American people. Moreover, the man that wrote this comment above in response to me posting a few photos of Chumash rock art has published online, by way of a world renowned magazine with a world wide audience, numerous photos of pictographs. He also regularly publishes to the world via Instagram, as noted below under his quote about supposedly “not flaunting where I’ve been,” photos of rock art sites he visits. In other words, I have done nothing different than what he does himself apart from having a far smaller audience. A screenshot of a freely accessed scholarly journal article by Dr. Thomas Blackburn, recipient of the Fredrickson Lifetime Achievement Award of the Society for California Archaeology. Many other such articles are readily available to the general public. This assertion is demonstrably false. Archaeological information can be readily accessed by the public through various physical locations, such as libraries or book stores, and much of it including peer reviewed scholarly journals can be freely read by the public online or accessed through subscription sites whose only limiting factor are paywalls. Furthermore, any American citizen can obtain archaeological information by filing a Freedom of Information Act request (FOIA). Authorities have some discretion in choosing what they release with respect to concerns about protecting sensitive sites, but this does not equate to a blanket ban on the release of such information, which they are otherwise obligated by law to provide anybody that asks. Were it a secret this person would not know the location of any archaeological sites. It is apparently okay for them to be told and for them in turn to tell others, but you should be prevented from being one of those told or doing the same yourself. Another self-anointed arbiter and gatekeeper of the public’s resources for whom if others do not act in specific accordance with their own personal opinion, then they should be barred from access and denied opportunity. That is not a reasonable basis upon which to deny anybody anything. It is a meaningless statement reflecting the capriciousness of individual opinion. What exactly is due? It is certainly not a sound basis upon which to found public policy governing public resources. That battle was lost years ago on account of the federal government and leading scholars and authors in the field of Chumash archaeology, all of which have published to the world far more detailed, revealing and sensitive information than the limited number of photos I have put out, which comprise a puny percentage of the content on my blog. This person is concerned about the figurative mist leaking from the wee hole that is my blog, when the leading figures in this field responsible for protecting these resources and studying them have blown a gaping chasm in the dam the person wishes would hold back the reservoir of knowledge they do not want revealed. This may be the most reasonable criticism I have received to date. I have to confess that I cannot think of any good my posts have done for these sites themselves as places other than perhaps increasing knowledge and awareness, which in turn helps build support for their protection, because you cannot possibly hope to protect something that people do not know exists, do not know about and do not understand. That argument, however, can be flipped on its head and it can be said that such exposure, on balance, creates far more damage than good, through increased visitation by way of making more people aware of something they otherwise might not know about. But again we hear of supposed “secrets” needing to be kept, supposed secrets that exist on public land in the nation’s most populace state, but which the public should never enjoy nor see, and shame on me for revealing them, even though I provide no directions but only a few carefully selected photos which are not dissimilar in presentation on my blog relative those photos published to world be leading scholars. These secrets will be erased by nature alone in time rendering this entire debate meaningless and irrelevant. Yet this is the same person that unexpectedly called me one afternoon and proceeded to inform me that he knew of many rock art sites, which he promised to lead me to or provide directions to once he returned from a trip to Belize. This from a person I had never spoken to in my life. An utter stranger that rambled on for long minutes, as I listened in silence, dumbfounded as to why he was telling me all this information I had not even asked for or suggested I was interested in receiving from him. This is the same person that commented on one of my blog posts that there was some really nice rock art nearby the location I mentioned in the post and that he hoped I saw it. This was a post that had nothing whatsoever to do with archaeology nor did it mention rock art. He made these public comments on my blog anonymously, which suggests to me he did not want his name to be tied to such a revelation, which I presume was because he really did not think what he was doing was the proper course of action for somebody in his professional position as a leading scholar of rock art in California. Apparently, there is a lot covered under the rubric of “general” in this statement about supposedly having sealed lips. And if this was the case with me, that this stranger called me to say they would give me directions to archaeological sites, it seems reasonable to assume it happened to other people, as well. And in point of fact, I know it has indeed happened and that this person has revealed information to another person whom he did not know personally, somebody that he knew had a history of publishing photos on the Internet of pictograph sites. And because this person with supposedly sealed lips freely gave out specific directions more photos were posted online of an exceptional, unique rock art site that may well have never been previously shown publicly on the Internet. Perhaps earlier scholars and government agencies made a mistake in making information about pictograph sites publicly available. Whatever the case, the leaks, if that is what they are, continue today straight from the mouth of a somewhat prominent California archaeologist who could hardly contain his eagerness to unload this information to me, a perfect stranger who never asked for it. I could provide a photograph of this person posing beside, very close to, a large pictograph in the San Rafael Wilderness, but out of respect for his privacy I will refrain from doing so. This is not personal, but business. I seek not to embarrass anybody but to expose their sophistry. The photo is, however, found on the Internet, published to the world, but apparently not flauntingly. I could provide a link to this person’s Instagram page whereupon he has posted photos of numerous pictographs, including one he published just four days ago as of the time of this writing. The photo is captioned with text describing how he is looking forward to visiting the rock art site in the photo, which is shared to the world without restriction. More to the point, I do not post content to my blog to flaunt where I have been. My motives are far removed from any desire to flaunt or brag about anything. Such an allegation misses the point entirely. If we are going to emphatically speak of needs, then let us note the fact that there is no need to do anything on the Internet and in fact no need for the Internet itself. Civilization operated just fine prior to the advent of the world word web. So we can cast this question out with much of the other empty, thoughtless criticism as it lacks any reasonable basis whatsoever. The way I shared was only different than the books, the magazine articles, the peer reviewed scholarly journals, the international licensing agency peddling photos of the site, in that I did not name the particular creek upon which the painted cave is located, while all the aforementioned sources did specifically name the site’s general location thereby revealing it to the world. That is the difference. And it is a rather notably big difference. In that it can be confirmed that I exercised more discretion than the purported professionals, a fact which appears to be in-line with the previously expressed sentiment by this person, that what is acceptable behavior for the clique is not acceptable for those people outside of or those people unaccepted by the elite chosen few, the self-anointed gatekeepers. I am being accused of selfishness for sharing. 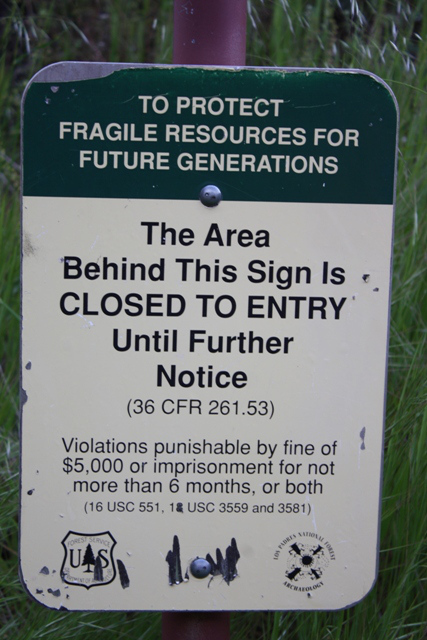 This sign was erected years ago by the United States Forest Service near the site of a relatively well-known Chumash pictograph site in the remote Santa Barbara backcountry. Generations not yet living cannot possibly possess a moral claim over current living generations on the ownership of present day public resources. This entry was posted in Articles and tagged Archaeology, Chumash, Hiking, History, Indians, Los Padres National Forest, Native Americans, Pictographs, Rock Art, Santa Barbara. Bookmark the permalink. I created a composite Chumash cave painting for the I Madonnari Street Painting festival May 2014 as the featured artist in front of the Santa Barbara mission steps. I did my best to meet with referred Chumash elders (different opinions on who these are) and got approval from the Mission Friars as most featured work has a Christian theme. I wanted to honor those whose efforts and even their lives were sacrificed to build the original mission. I received mostly positive comments….but never did any Chumash members identify themselves to me during the work creative…comments I got were second hand. I really like your blog comments re the Forest service sign about future generations! We are overdue for a big earthquake so such caves might be destroyed in a natural disaster. I did do my due diligence by researching what information I could find. Message me and l’ll send you the image I created. You are preserving a record of rock art that could potentially be lost to future generations, and that would be a tragic loss. You treat it with utmost respect. Sometimes a few naysayers drown out the silent majority. I have always been grateful for your rock art photos and blogs posts because I have not been able to see, in person, those amazing pictographs and probably never will. I have been to Painted Cave as so many people have and one other rock art site in the back country (location to remain a “secret”). I value these ancient pieces of art just as you do and appreciate you bringing their beauty to those of us who cannot visit them. I don’t see that you have done anything untoward in regards to these precious relics. Keep up the good work. It needed to be said, once and for all, and you do so with clarity and insight. You share in a spirit of appreciation, respect, and wonder. You encourage more enlightened attitudes about the precious natural environment as well as the cultural remnants of the people who were here before us. It’s the opposite of exploitation. Many of these paintings are fading rapidly due to natural erosion, sunlight, etc. and will disappear entirely before long. Careful photography and documentation is a gift. Thank you for your website, a beautiful work and resource. Jack, your posts on rock art changed my life. My journeys to visit such sites over the past two years have taken me to the most beautiful places that I would have never seen otherwise. I now have a greater appreciation and respect for the Chumash people, and a better understanding of how they lived. So thank you for sharing. I do believe that raising awareness of the rock art is key. Hiding all of this information only leads to ignorance and disrespect. Sure, be discreet about site locations (Because obviously there are ill-intentioned people out there), but photographs that capture the beauty of the art and bring the people who will never be able to visit these sites into that space should be shared. The more people admire the art the more they will appreciate the “artist”. Secondly, I know the person you are speaking of. He seems like a real dandy fellow. I can see how someone like him would get so upset and that’s because he doesn’t understand. It must be so nice when all of the information has been given to you for finding these sites and you can practically freely visit them as you please. Yeah lets all just sign up to be site stewards and eventually become archaeologists ha! Yes, he posts quite a few pics of rock art on his Instagram and his personal website. Great photographer, I will give him that, but for him to say what he said to you is ridiculous. Not only does he share photos, but I know for a fact that he was giving tours to large groups of people of a well known site in the Santa Monica Mountains. #hypocrite#elitist#exploiter He can add those to his next Insta post. Oh and not to mention his body is covered in Chumash pictograph tattoos. If you want photos taken off the internet than get those tattoos taken off your body! Anyways, keep it real Jack. I love the pun. Clever. I know the rock art site you hint at and of which he has given tours. I was actually scheduled to go on one of his tours there, but decided to refrain from attending out of respect for a friend whose opinion on this matter I value. I am glad you brought this point up, as it is a glaring example of his hypocrisy which I was remiss in noting. I suspect the man in question has gone silent due to how badly skewed his understanding of this matter was prior to being called out here for his hypocritical behavior. I suspect his heartbeat rose when he read my post, that he understood if he were to make further issue of this matter in the manner in which he previously had, that he stood the chance of being named publicly and embarrassed before his peers both personal and professional, and that it had the potential to do lasting damage to his reputation, and that it could very well harm his chances to accomplish whatever he seeks to achieve in his chosen career field before he even graduated the university. It appears, by his actions, that he thought very little about the consequences of speaking out and accusing other people of the very sort of behavior he had himself engaged in. And that as a person in his position such criticism was far more damaging to himself than it could ever possibly be to me. When talking about what is right or wrong, it’s difficult when within the colonial American context. What do laws and ethics mean when the country was founded on theft and disrespect of existing Indigenous laws and protocols? And let me remind that, in the Indigenous perspective, this theft is perennial and not an event frozen in the past. You don’t have to go back in time to go back to doing what’s right, now. I also note your rationalization for displaying rock art doesn’t attend to the possibility that it may lead to an increase in traffic to these sensitive places. Maybe you could reflect on that possibility and conduct yourself as you see fit. Define theft, as your suggested definition does not comport with the historical time in which you refer. At that time life among nations was governed by right of conquest, something as true in the white European and American frame of reference as with many so-called Native Americans. Was it not “disrespectful” for one Indian to take without permission under threat of death the property of other Indians from another tribe? Was that not “theft”? Does that not count, for some odd reason, but only that which counts are the same actions of white men? You clearly did not read what I wrote or did not comprehend what you read if you did, because I specifically noted that possibility. If you can discuss things respectfully, I’ll dialog. You can see people as generic “Indians,” but I don’t. I also don’t equate Chumash laws and customs of land use etc. with other tribes or “nations” or Western European. They all differ greatly. You’re pretty longwinded, so there is a chance I didn’t see where you attended to the possibility of increasing traffic to these sites. Maybe you could illustrate by responding, by cutting and pasting a quote where you do, so I can read and reflect. You don’t have to say I’m ignorant or lack comprehension. You can be decent, can’t you? Nor do I see peoples as generic Indians. 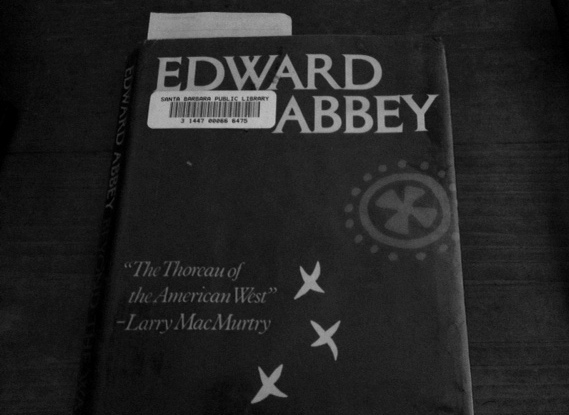 And I do not much like lumping them all together under the generic rubric of “Native American,” as is common practice. But sometimes it serves better for sake of brevity in making a general point. You said I’m long winded, well, adding further distinction and nuance wouldn’t help that. I observed that before commenting you either 1.) Did not read what I wrote or 2.) Did not comprehend what you read if you did. Is that not a fact? I was not sure, so I said what seemed like an obvious, objective, point. Perhaps you misunderstood and read into my comments something that was not there. I do not intend to be disrespectful nor indecent, but I also have no interest in worrying about people with sensitive feelings and thin skin who lecture other people but yet don’t appear to know what they are talking about. You came in here and accused people of theft with no evidence nor examples offered, and then you get offended when responded to in kind with a factually-based reasonable argument? As you see in my reformed post under alalqulpep, I give you opportunity to show me where you did attend to the issue of introducing more traffic when I say, “Maybe you have elsewhere.” But you, in your response, do not draw my attention to that. Instead, you launch a diatribe not intended to convince me through dialog, but to conquer. Believe me, I’m familiar with this method (or madness.) Conquerors are antidialogical. You are exemplify this. Feel free to omit this response from your thread, or include it. I don’t care. And please don’t respond. You’re modus is offensive. I’d respond to what you’ve questioned in my post, but it isn’t worth it. There just ain’t no talking WITH you. Good luck. If you would actually READ the post you are commenting on, then you would see what you are looking for. The ONLY option we have for recording, protecting and preserving this priceless artistic cultural spiritual totemic legacy is to greatly expand our hiking, photographic, scientific and educational outreaches. No one — whether tribal, landowner, corporate or government — is doing a good job at recording, researching, educating and/or protecting this legacy. Most are outright blocking protections, as well as recording, research and education. Unless we — with continuously heightened discretion as to location and audience, expand our researches and our educational outreaches, this immense sacred legacy will be lost.